I just wanted to have SC in my native language (Mongolian) also UTF-8 encoded charset. PChelpware has same issue. See below. Then I have downloaded SC source, the latest public available version "SC update 2015(Feb)" and checked up. 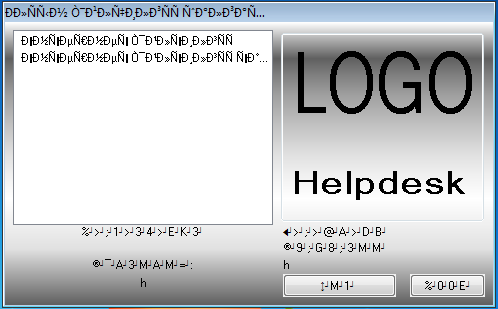 The project was configured with "Multi-Byte Character Set" which leads the problem. If I have to do things right way, I need to configure it as use Unicode. In this case I got huge number of errors that I have to correct. I fixed until Socket functions and gave up, because I don't want to change low level socket function, which may affect performance. And I had limited time also only one day to do this task! PS: Where can I download latest version of SC source? The source https://sourceforge.net/p/ultravnc/code/HEAD/tree/UltraVNC%20Project%20Root/UltraVNC/ seems very different. I want to check up some performance issues like mouse pointer etc. Did you ever find a solution for this? It's really embarrassing that in 2018 SC still doesn't support any language other than English.